NOW IN IT’S SIXTH YEAR, THE EXPO CONTINUES TO OUTDO ITSELF. THIS YEAR FEATURING AN EVEN MORE IMPRESSIVE LINE-UP OF ARTISTS, AERIAL ACROBATS, AND PERFORMERS AT QUEEN ELIZABETH YOUTH CENTRE, TAURANGA ON MARCH 5TH & 6TH. Top of the must-see list for many will be Horihide, an artist specializing in traditional Japanese tattooing called irezumi – a method of tattooing in which the artist uses hand poking to complete the tattoo. 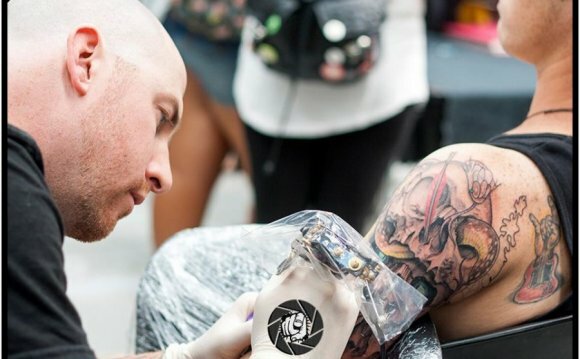 Over 150 tattoo artists from all around the world, including the very best New Zealand tattoo talent, will also be present over the weekend. Other attractions not to be missed this year include: Nathan Haines, Hollie Smith & Tali performing live. Plus the ever popular Miss Tattoo NZ, NZ vs Australia 4 man HMB (Historical Medieval Battles), a fashion show, aerial silk contortionist.